We are a design/build firm that specializes in the design of residential houses 2,000-10,000+ Square Feet in the $200K-$10Mil+ price range. We also have a Custom Cabinet department that builds Custom Cabinets, Bookcases, Entertainment Centers, Theaters, Custom Storage Built-ins, Kitchen Islands and much more. Building your dream house can be very stressful. One of the hardest steps is to find or design the prefect floor plan of your dreams. Your floor plan is the first step and the main building block of the whole construction process. Here at Imagine-It Designs we take away a lot of the stress by making the design process simple. Our intent is for us to be a tool your hands. This requires us to be flexible in terms of how we respond to your desires and needs. Some of our clients wish to have a large degree of direct input and influence in the design process which we encourage. Others wish to allow us more freedom to create for them. In any case, we learn to understand you in terms of your tastes, needs, desires and style of living. We listen carefully and respond promptly to your requests. Unlike many Architects who only promote their own design agenda, we work to realize your desires. We do, however, call on over 20 years of professional experience to advise and guide you to make the right choices. 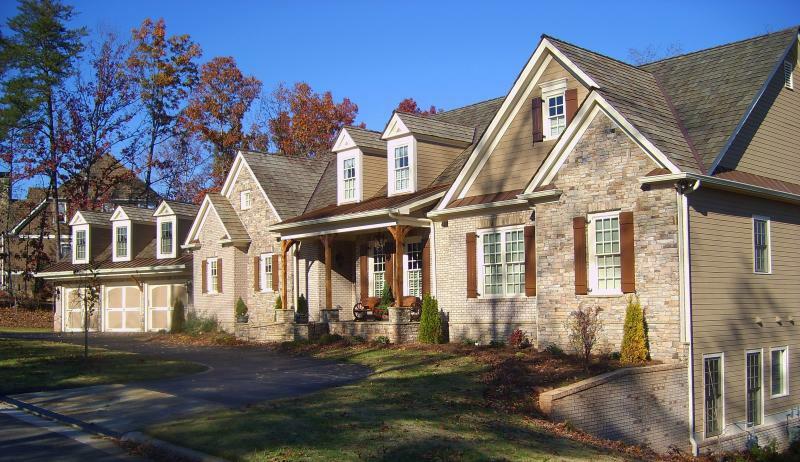 Our practical understanding of home construction and finishing comes from over a decade of constructing our own designs. We are engaged with partial or full oversight during the construction of your house. We produce highly detailed construction plans that are presented clearly, completely, and accurately that building departments and builders appreciate. Our complete construction plans are also designed with the builder in mind. The plans provide builders with all the information they need to avoid costly errors that all too often occur due to the lack of detailed information. We start with a rough layout on paper and then accurately draft the layout using AutoCad for its technical precision. We take pride in each design as well as our construction documents. The result is your dream house and our greatest reward which is the praise we receive from our clients as well as builders who love to work from our plans. The point is that Imagine-It Designs has the comprehensive knowledge, vision, passion, skills and experience to design fine homes. We have the abilities to listen and respond well to the desires of our clients, to understand and guide them smoothly through the design process, and to conceive and deliver a delightful and practical environment that will enhance your lives and make your dreams come true. 2016 Copyright Imagine-It Designs, LLC. All rights reserved. Designed by I-ID and hosted by Aabaco.